Motorola had unveiled the Moto X Style and Moto X Play along with Moto G 3rd Gen at the launch event held on July 28. While the Moto X Style was made available in the U.S, the company hasn’t launched the Moto X Play there. Today, the company had announced the Verizon-exclusive Droid Maxx 2 and Droid Turbo 2 in the U.S. As said earlier, the design of the Droid Turbo 2 looks same as the Moto X Play, but the Droid Maxx 2 is the same Moto X Play rebranded with a new name keeping the specifications and design same. 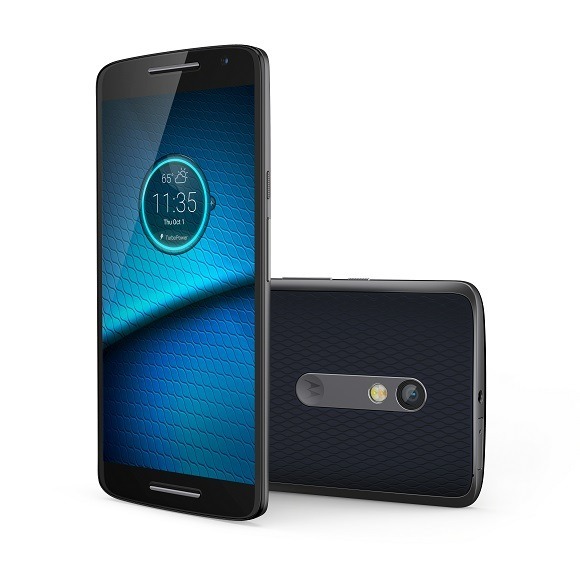 Unlike the Droid Turbo 2 which is a flagship device with high-end specifications, the Droid Maxx 2 is a mid-range device. The device comes with a 5.5-inch IPS display with Full HD resolution and Gorilla Glass protection. It is powered by the Snapdragon 615 octa-core processor coupled with Adreno 405 GPU and 2GB of RAM. There is 16GB of internal storage along with a MicroSD card slot for storage expansion up to 128GB. Talking about the camera, the Droid Maxx 2 comes with a 21MP rear camera and a 5MP front-facing camera that can capture detailed images, these are the same set of cameras which are earlier seen on the 2015 Moto X devices. It runs on Android 5.1 Lollipop and is guaranteed to receive Android 6.0 Marshmallow update soon. Like the earlier Droid Maxx devices, the 3,630mAh battery on the Droid Maxx 2 is expected to reach its expectations. It also supports Quick Charging that can give 8 hours of talk time with just 15 minutes of charging. It will be available in the following color options – Black with Deep Sea Blue Back and White with Winter White Back. The device is priced at $16 per month (up to 24 months) on contract and can be purchased at $384 off contract. For those who missed the launch of Moto X Play in the U.S can certainly look at the Droid Maxx 2 since both the devices are similar regarding specifications and design. The device will be available in all the Verizon stores across the U.S starting from October 29th.